I’m organising my leaving do. No, I’m not quitting An Awfully Big Blog Adventure, but after four years officially on a career break, I have now finally resigned from my teaching job. There is no going back, and it seems right to mark the transition properly. Do you miss school? people ask me frequently, and I always answer, cynically but truthfully, that the only thing I miss is the money. They will then tend to go on, But you loved teaching! And you were so good at it! Yes, I did, and I was. 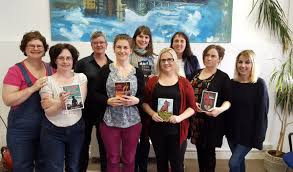 And when I teach now – at Arvon; in workshops; for organisations like the Irish Writers’ Centre or Story House Ireland, or as part of my role as Royal Literary Fund Fellow, I love recapturing the buzz I felt over twenty years ago when I started teaching English in a large secondary school. But that buzz faded, or died, or did whatever a buzz does when it stops buzzing. Not because I was getting older – I’m still in my forties – but because so much of what made the job enjoyable was being eroded, year on year. Partly it was the crippling admin burden; partly the increasing teaching to the test, which sucked so much of the joy out of the subject. It’s hard to remember why you love literature and language when you’re constantly checking assessment objectives and attainment targets, and even harder to impart that love to young people. It was hard to be expected to leave everything I know about writing -- as an award-winning professional author -- at the classroom door. 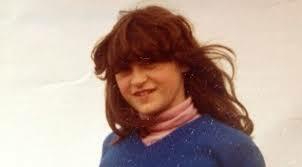 I went to rather an old-fashioned primary school in the seventies. 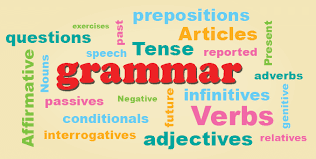 We learned grammar; we even parsed sentences, and when I got to secondary school I had a head start when it came to learning Latin and modern languages, because I knew the correct terms for everything and how a sentence worked. But that knowledge was imparted along with a huge dose of enthusiasm and creativity, and with minimum jargon. I was taught by teachers who had themselves been to school several decades before: they had learned grammar; they understood it, and they were able to pass on that knowledge confidently. There was no sense that they were teaching it because someone in Westminster had decided they had to. 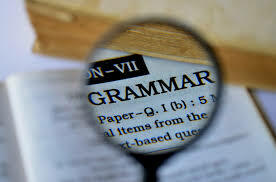 I love grammar because I was taught to love it by people who understood it. I loved my subject, English. I mourn what is happening to it within the school curriculum and am glad no longer to be part of it. When the GCSE course in my area got rid of literary comprehension in favour of analysing DVD covers (‘multi-modal texts’) I thought I was in an alternative reality, and one for which I didn’t much care. I wouldn’t recommend teaching English in the school system to anyone right now, not if they really love the subject, and that makes me feel sad and almost disloyal. After all, pupils deserve to be taught by those who love the subject! Recently I did a morning’s creative writing with a cohort of English PGCE students. They loved the chance to be creative and imaginative: I just hope that things change again soon so that they are able to bring this creativity and imagination to their teaching. That's so sad. I've been considering doing my year of teacher training for a while now, but so many teachers I know are unhappy with how they are forced to work that it doesn't seem like a good idea. This is a very personal reflection! Don't let it put you off! But do talk to lots of teachers. Well, I'm a teacher and I know where you're coming from with the piles of admin and the teaching to the test. We do that here too. I loathe the word "pedagogy". I hate all the hoops we have to jump through. And I've seen the best teachers suffer burnout from it all. You know what? It's said that scum floats to the top, hence the paperwork and hoops to jump through. Those who make the decisions either haven't ever taught or got out as soon as they could. But if the good teachers are all walking out, who will be left to look after the kids? ...Becca, as Sheena says, it's a personal thing. Teaching can be a delight if you take it up for the right reasons. And it can be horrible, but so can any other job. I worked for a couple of years in a clerical job and I'm telling you now, I'd never go back to it if I had the choice. Never! I hated it. Teaching at least gives you some options for creativity. And you're developing relationships with your students and seeing them have their "ah ha!" moments. If you work in a secondary school as I do, you may even see some of them become teachers themselves. Sheena, Sue - thanks for sharing your experiences! I volunteer at a youth group and I do love teaching the kids things and seeing what they come up with on their own. Or helping them with activities and seeing how pleased they are when they do something new. It's particularly satisfying with the ones who start off grumpy and not wanting to participate, and by the end they're asking for more time to finish off.